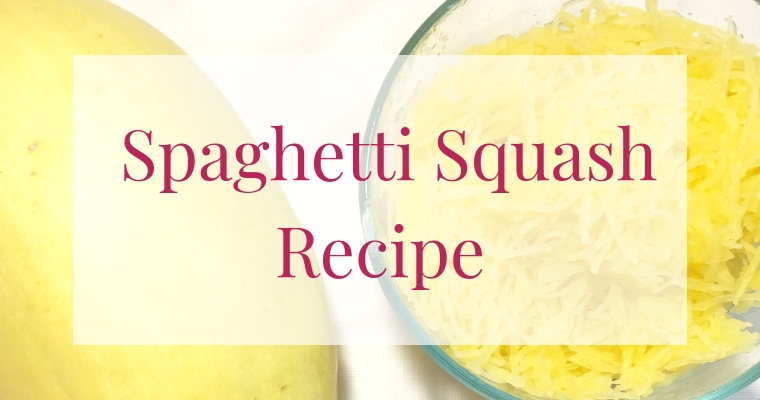 Are you looking for a quick and easy way to cook spaghetti squash? 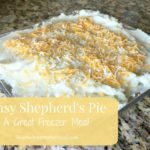 Here is our favorite recipe that can be used as the main dish or a side! 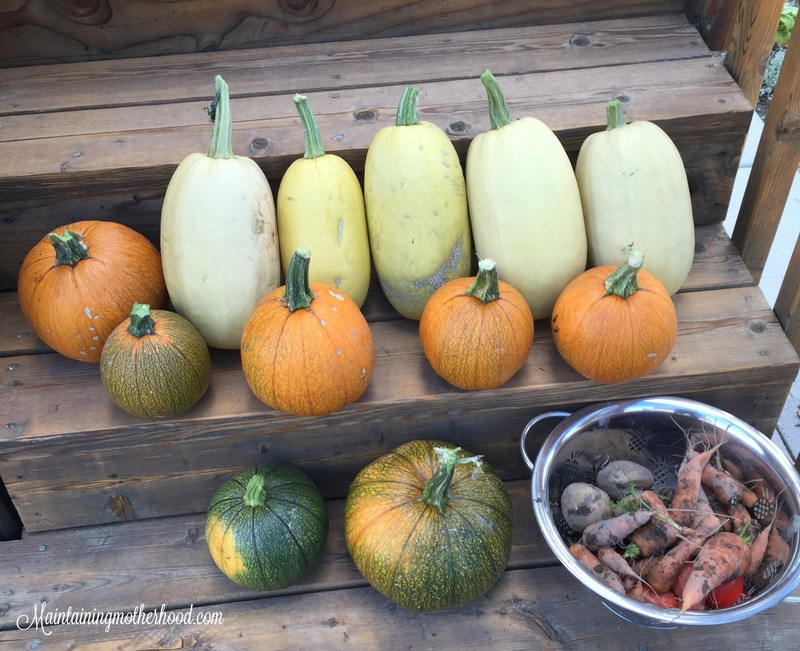 Spaghetti squash is a vegetable that is super easy to grow. It grows on a vine like a pumpkin and is harvested when it turns yellow. 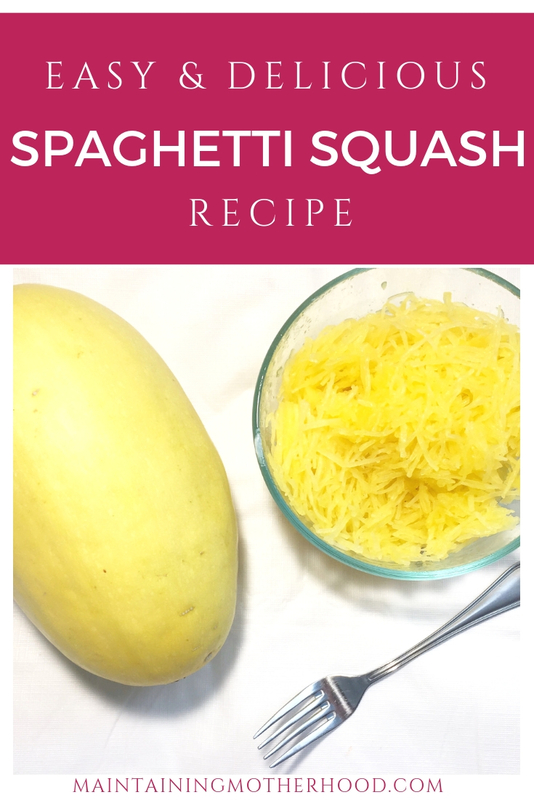 Spaghetti squash can be used as a substitute for spaghetti noodles in spaghetti for an easy way to cut carbs and feed your kids more veggies! 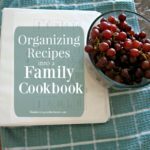 Our favorite way is to cook it up and serve it as an easy side dish. Each year we grow a bunch of spaghetti squash in our garden. 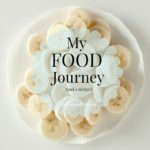 I love spaghetti squash because it stores well for long periods of time in my pantry, and it is super simple to cook. 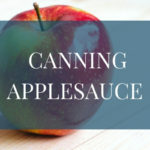 It has a more mild flavor so my kids will eat it, which is always a win! This is the hardest and most intimidating part of the whole process! You need lots of muscle! Cut the ends of the squash off and then cut it open. I find that i just stab it in the middle lengthwise and whack it on the counter, it will usually crack right open for me. You can just make some cuts in the squash and cook it in the oven whole, but I find it is harder to separate the seeds from the actual squash once it is all cooked. 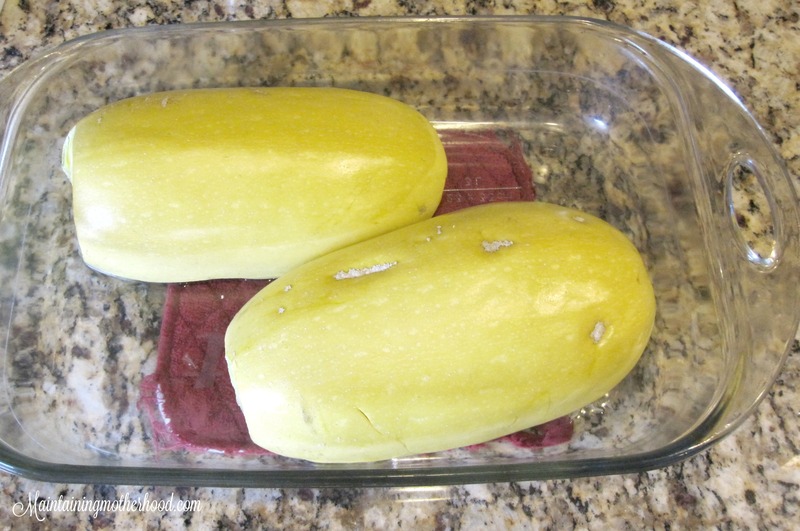 Scoop the seeds out and put the squash face down in a 9×13 pan. Cover the bottom of the pan with about 1 inch of water. 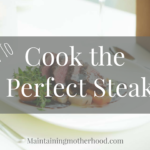 Cook in the oven at 400 for 40 minutes. Once it has cooled a bit, scrape out the insides. 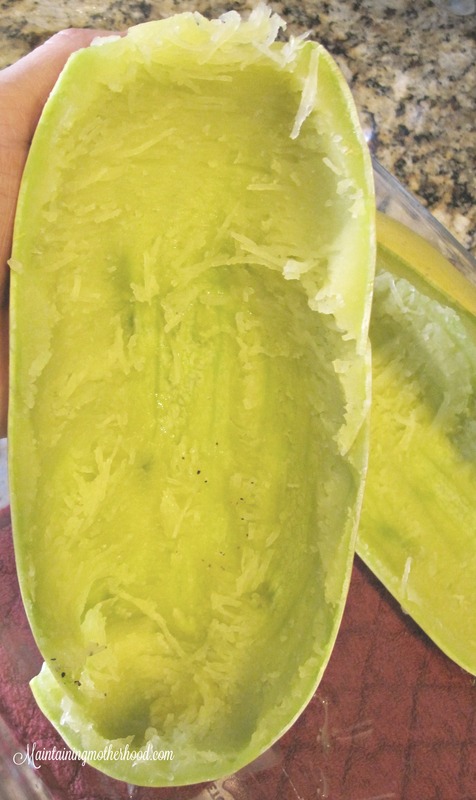 You will be able to scrape the squash right up to the skin. Now is the fun part! Our favorite way to eat it is with butter and my favorite spice. We also love to eat it just with butter, salt and pepper. Sometimes we will top it with parmesan cheese, and other times, use it in the place of spaghetti noodles and top it with marinara sauce and meatballs.